Duo Rock 'n' Roll US originaire de Vina (Alabama). 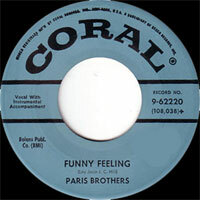 Les Parish Brothers se composent de Floyd et Foy Parrish. 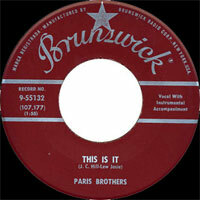 Ils ont enregistré chez Brunswick et Coral Records, deux labels de New York. US Rock 'n' Roll duo originating in Vina (Alabama). The Parish Brothers are composed of Floyd and Foy Parrish. They recorded at Brunswick and Coral Records, two labels of New York.